An aerial image of SoCore's photovoltaic installation in Bloomington, Minnesota in 2013. In 1979, SCE partnered with the U.S. Department of Energy and the Los Angeles Department of Water and Power to construct Solar One - the first commercial solar thermal generation plant in the nation. Solar One produced power from 1980 until 1986. Beginning in 1986, the Solar One project was redesigned as Solar Two, and the plant's efficiency was greatly increased by replacing the oil with molten salt as the heat collector. By using salt, the plant could continue to produce steam after sunset. Solar Two produced power from 1996 until 1999. In the late 1980s, Edison research scientists partnered with Texas Instruments to develop flexible photovoltaic materials in an effort to decrease the cost of solar power generation. Since 2008, SCE-owned solar facilities have generated 322 million kilowatt hours of clean power, an amount equivalent to 30,541 homes' electricity use for one year. 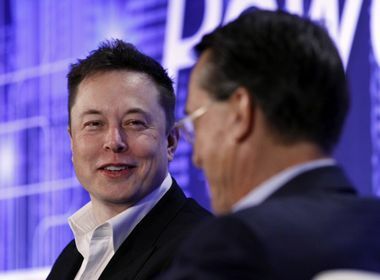 When it comes to solar power, Southern California Edison is a long-term player in this arena. Over the past seven years, the utility’s solar facilities have produced more than 322 million kilowatt hours of clean power, an amount equivalent to 30,541 homes' electricity use for one year. This amount of clean solar power is also equivalent to removing 222,035 tons of carbon dioxide from the environment. It was in 2008 that Edison International’s Southern California-based utility, SCE, began planning for the nation’s largest installation of photovoltaic power generation modules to occupy unused rooftop space on commercial and industrial buildings. SCE quickly ramped up to lease more roofs and today, there are 25 solar facilities in Fontana, Chino, Rialto, Redlands, Ontario and Porterville with a total capacity of 91.4 megawatts. SCE began the construction of its first solar pilot project in 2008 in Fontana and the facility began sending solar power to the community that fall. The second installation in Chino was connected to the utility’s electric network in 2009 and supplied over 1 megawatt of electricity to the local system. The utility’s third pilot location was in Rialto and entered into service by August, 2010. 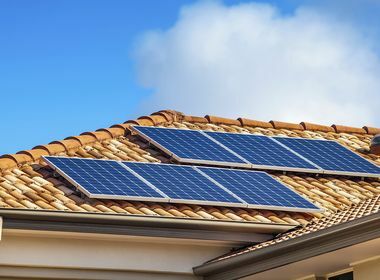 By sharing key research and technology findings from the Solar Rooftop Program with the solar and related industries, Edison has contributed to the rapid advances in this new technology. Now a major purchaser of renewable energy, including solar, SCE is well on its way to meeting California’s Renewable Portfolio Standard to deliver 33 percent renewable power to its customers by 2020. Today, Edison International has once again jumped into the solar marketplace, bringing SoCore Energy, a leader in commercial and industrial solar portfolio development, on board. 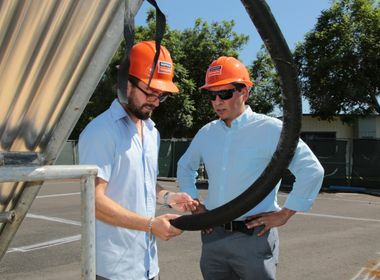 Since August 2013, when it became a wholly-owned indirect subsidiary, SoCore has been designing and building new onsite solar systems for its clients here in California and beyond. “As more and more of SoCore’s projects come on line in communities throughout California and the nation, we're part of the continuing leadership role Edison International has in innovation and advanced technologies for a clean and reliable energy future,” said Pete Kadens, president of SoCore Energy. In the coming weeks, Edison International plans to add additional SoCore projects. SoCore Energy is not the same company as Southern California Edison, the utility, and is not regulated by the California Public Utilities Commission.